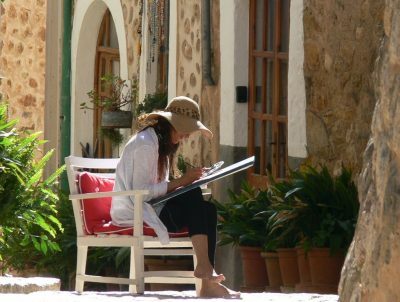 All MallorcanTonic clients will receive a 5% discount off their walking tour when booking by email with Promotional code MallorcanTonic. Minimum price for a guide is 2 persons (but of course the guides will take single walkers for the same price). Walking guide Albert Bouzas of Mallorca Cultural Tours is a font of knowledge. From the moment we met at Mercat Olivar, I knew I would learn a lot and laugh a lot. With a passion for history his life is devoted to constant investigation and with this knowledge he takes his audience on an unforgettable journey through Palma´s heritage with his gastronomic and cultural tours. 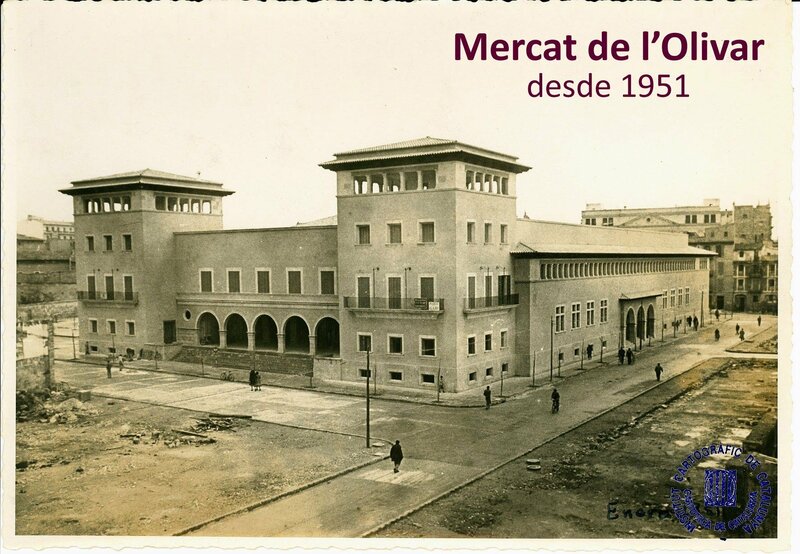 Mercat Olivar ( taking its name from the 16th Century Convent de l´Olivar which stood on this spot prior to relocating to Valldemossa) which I know well from shopping visits but which I had never really stopped to find out more about has, as I have learned from Albert, been at the very heart of city life in Palma for over 60 years. The impressive building dates back to 1951. Prior to this all markets in Palma were street markets without a permanent home. 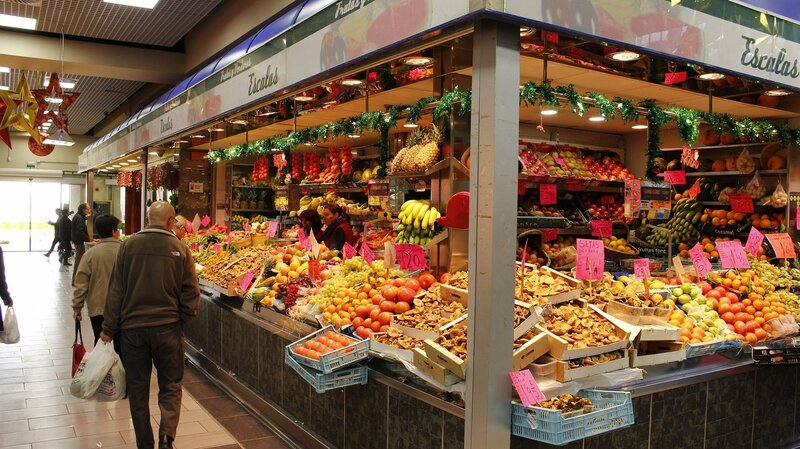 But in the middle of the 20th Century, in the interests of progress and protection from the weather, it was decided that traders should be brought together under one roof. In fact it was such a novelty at first that for many years traders still hung around the entrance and would not venture inside! 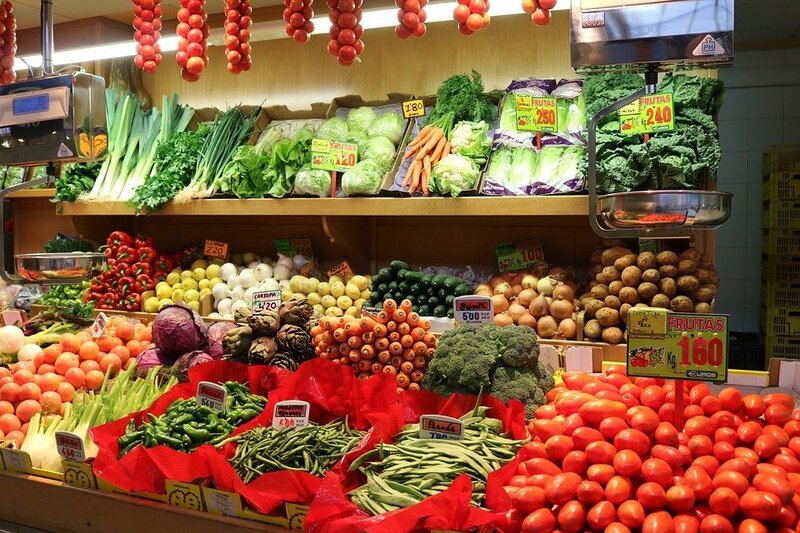 Thanks to the Mercat,more than a hundred shopkeepers now sell their fresh produce under one roof. It was only in more recent years that a social element was introduced of cafes and tapas bars and now of course sushi bars which would have been unthinkable 10 years or more ago. The Mercat is now a gastronomic venue in its own right. 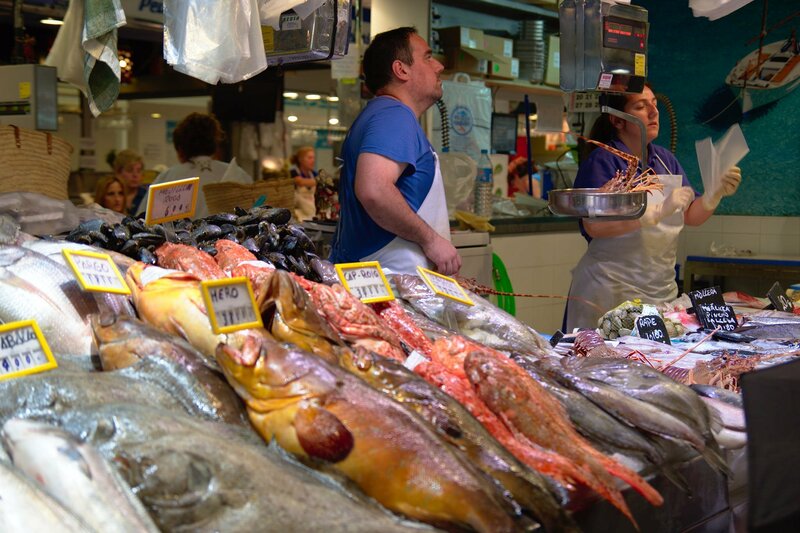 The Mercat is of course all about food and its place at the centre of Mallorcan life and culture. As you stroll around, Albert will talk you through the history and heritage of olive oil production, wine production and almond production etc on the island and will tell you the truth about sobrassada; the Sicilians had it first! Albert will also talk you through the different type of Mallorcan bread from the `pan moreno´ (the brown bread of the countryside) to the LLonguet ´the white bread rolls popular in the city of Palma. Indeed residents of Palma are referred to as LLonguets by their country brethren for their softer taste in bread! To complete the tour, and if you have time, Albert will delight in taking you outside and through the streets of Palma to tell you more about the history of the city and the long tradition of public markets in the capital of Mallorca. Of course you may also choose to find out more about the city on one of his many other walking tours, Mallorca Walking Tours or in fact about different places on the island as his tours can tailored to your interests. I cannot recommend this tour highly enough. It was a fascinating journey of tastes and senses. Images kindly provided by Albert Bouzas.